Union lies in the community of Halkyn in the county of Flintshire. It is located at Ordnance Survey national grid reference SJ19307120. The mine is recorded in the CPAT Historic Environment Record as number 18218 and this number should be quoted in all correspondence. 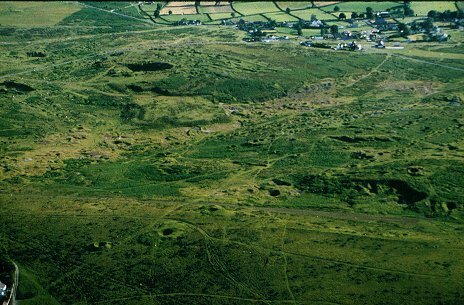 A large whim shaft is identifiable at SJ19397123, amongst other shafts and spoil heaps which cover the area. The Union Rake has been worked in open cuts as well as shafts.